Smith’s Ace Hardware is your local hardware store serving central New Jersey and Newtown, PA area. Our five convenient locations stock everything you need for large and small construction jobs, from contractors tools and supplies to small home improvements and bird seed and landscaping supplies and so much more. We have been supplying homeowners, contractors, builders, landscapers and townships with the highest quality masonry and landscaping supplies, equipment, tools, and general hardware for over four generations. From our beginnings in 1946, our goal has always been simple — give our customers unparalleled service, the best products and competitive pricing. We can help you plan your next project, help you solve any home repair dilemmas you may be having or help estimate the total costs. We cater to homeowners and contractor’s alike, and offer guaranteed prompt delivery. Our Smith’s Ace Hardware in-store staff is readily available and prepared to advise and assist you in all your purchases, directing you to the right products you need like salt & de-icing, storm screen repairs, and grass seed. We carry all the top name brands you’ve come to know and trust like Benjamin Moore Paint, Scotts, Craftsman, DeWalt, Ortho, Toro, Big Green Egg, Weber Grills — just to name a few. 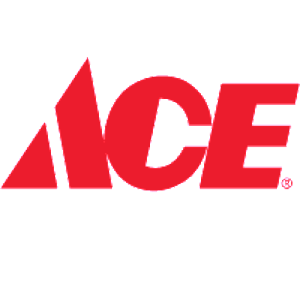 So the next time you have a hardware or contractor’s supply need, stop by any Smith’s ACE Hardware store in NJ or PA and our staff will be there ready to assist you with friendly, quality service and product availability. Make Smith’s ACE Hardware your first visit. We are your local central NJ hardware store, ACE the helpful place, we’ll even help carry your packages out to car. For any additional questions, feel free to contact us at any time!